Astronomers have found more than 1000 planets beyond our solar system, and thousands more await confirmation by follow-up observations. 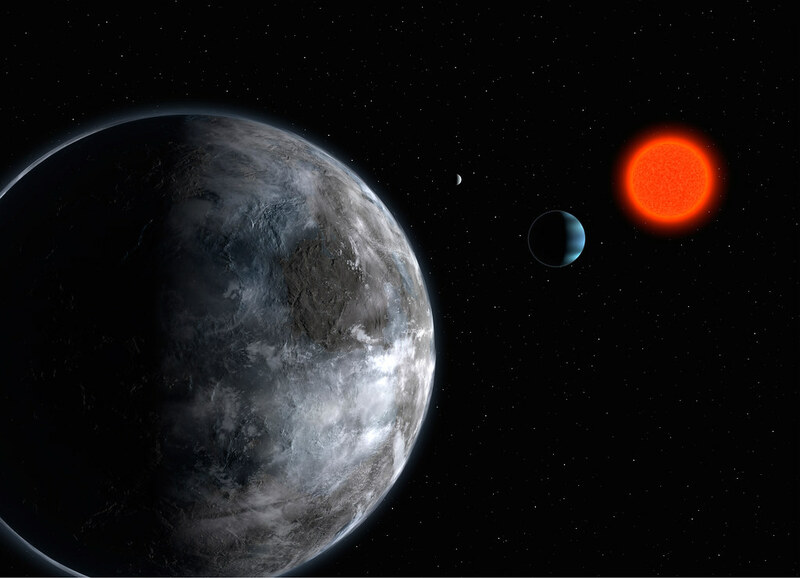 Many of these alien worlds are too hot or too cold to support life as we know it, but researchers have found a few that appear to be much more hospitable. So, Here’s a brief rundown of the best candidates. Gliese 581g is a possibly habitable planet that was detected by a group of astronomers in 2010 and is nicknamed “Zarmina.” This unconfirmed planet orbits a red dwarf star that is only 22 light-years away from Earth! It has a mass of approximately 3.1 to 4.3 times that of the Earth, which puts it under the category of “super-Earth.” This planet sits perfectly in the “Goldilocks Zone,” so there is a high possibility of liquid water and, therefore, life. I am doing a project for school and your web sight says that this planet gliese is 1750 light years away from earth but at the bottom of the web sight is a link to read more on the planet and if you click that the info on that page says it is only about 20 light years away, that is a really big difference! so which is it, 1750 or 20?